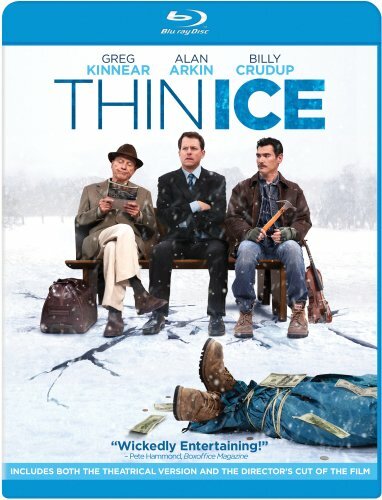 There are very few things that Mickey Prohaska ( Greg Kinnear ) wouldn’t do to escape the frigid Wisconsin winter. Reuniting with his estranged wife (Lea Thomson) and jump starting his insurance career would also be a bonus. Thus, when a lonely retired farmer (Alan Arkin) moves into town, Mickey attempts to con him- in order to achieve his goal. As his attempts spin out of control, Mickey finds himself in a spiral of deceit and double crossing. On DVD and Blu Ray June 12, “Thin Ice” is a blend of hark humour and Midwestern noir, and when the ice breaks no one will know what’s coming. ** Gerry and I liked this movie and would recommend seeing it.